Comments: Borage is classified as a hardy annual. Its foliage and stems are covered with fine, stiff white hairs that gives it a overall rough texture. Blue, star-shaped flowers appear in spring and summer. Provide full sunlight and a well drained soil, preferably in a raised bed. This plant is relatively easy to grow and can tolerate considerable amount of neglect and still produce a large shrub-like mass in a single season. It is reported that the flowers are visited by bees and yield a good source of nectar for honey. 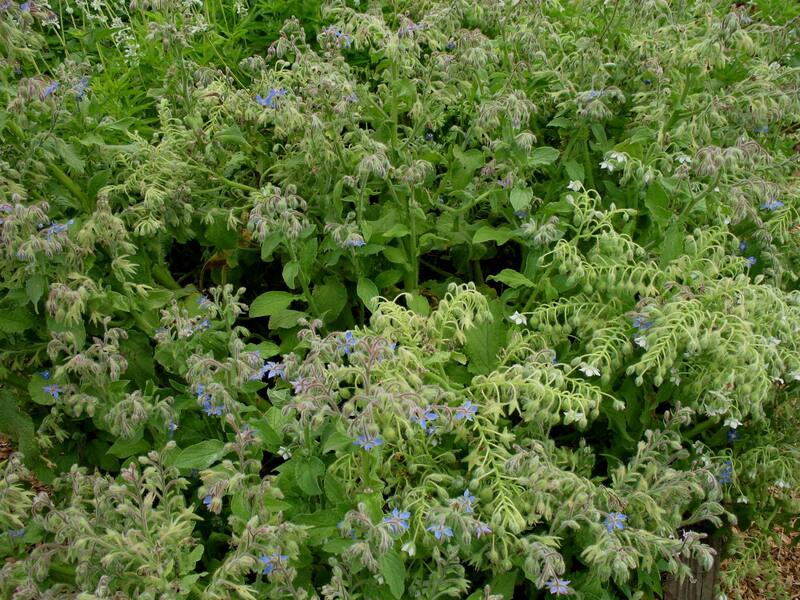 Borage has long been used as a culinary herb.